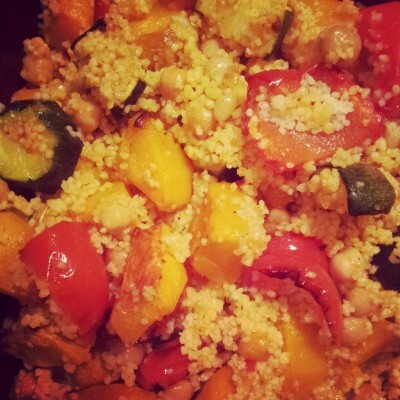 If you have a timer setting on your oven, this meal is brilliant to come home to at the end of a busy day – prep the veg and set the timer in the morning, so that the vegetables are already smelling hungry-making and delicious when you walk in the door, and you can quickly prepare the couscous (or pre-cooked quinoa), and stir in the chickpeas and harissa and have the meal on the table in moments. 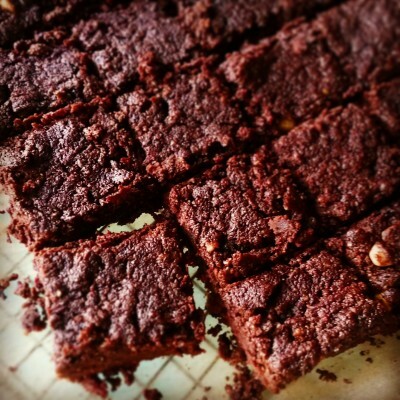 As the spicy harissa isn’t added until right at the end of the cooking time, it’s very easy to a set aside a spice-free portion for any little ones who can’t take the heat before stirring in the harissa. 1. Put the peeled and chopped vegetables into a non-stick baking tray. Add 1-2 tablespoons of olive oil and use your hands or a spatula to mix everything around until the veg are throughly coated.. if necessary add a little more oil, a tablespoon at a time. You could use an olive oil spray bottle if you have one, as this will allow you to use the absolute minimum of oil. Put the tray in the oven and cook on Fan 200C for about 45 minutes. If you’re making this using your oven timer, allow for the time it will take for the oven to heat up, and if there’s a chance you might be home late consider that once the oven is hot, the food will continue to cook in the residual heat even after it has been turned off. Always set your oven to turn itself off at the end of the cooking time, so that if you’re ever waylaid unexpectedly your vegetables won’t be burned to cinders. 2. 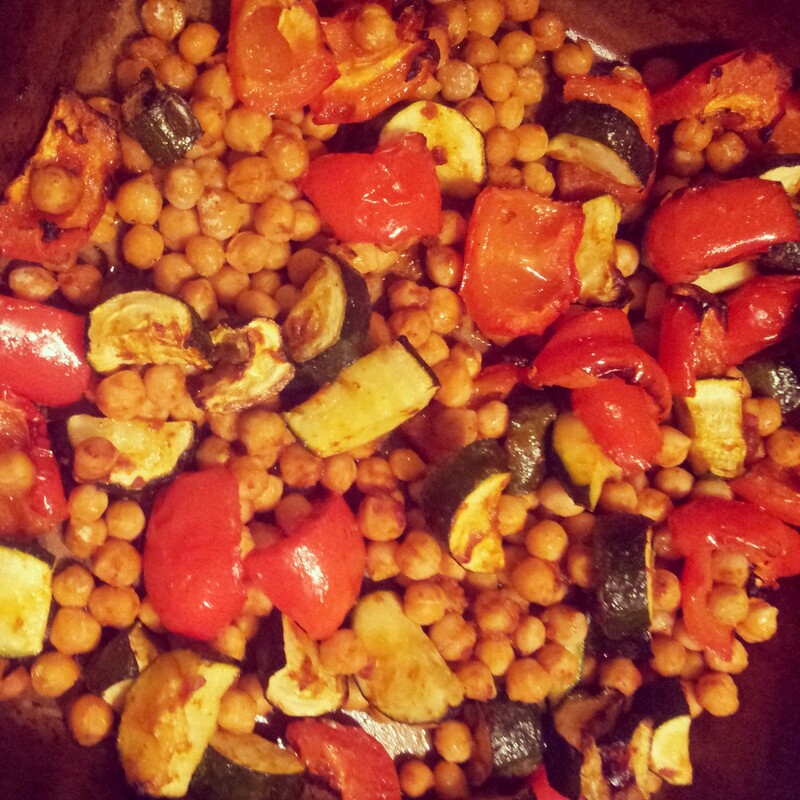 When the vegetables are cooked and smelling delicious, add the drained chickpeas and stir through a couple of teaspoons of harissa paste (if required, don’t forget to set some aside for a child-friendly spice-free portion before you do this). Turn off the oven and put the vegetables and chickpeas back into the warm oven while you make the couscous. 3. Prepare the couscous: first boil the kettle. Put the couscous in the bottom of a small saucepan, and pour on just enough boiling water to cover the couscous. Cover with a lid (or a plate if necessary), and leave – covered but not on the heat – for five minutes. When you come back to it, the couscous will have absorbed all the water. Fluff with a fork and mix into the harissa/roast vegetables. Sprinkle on the fresh coriander and/or nutritional yeast flakes, if using. 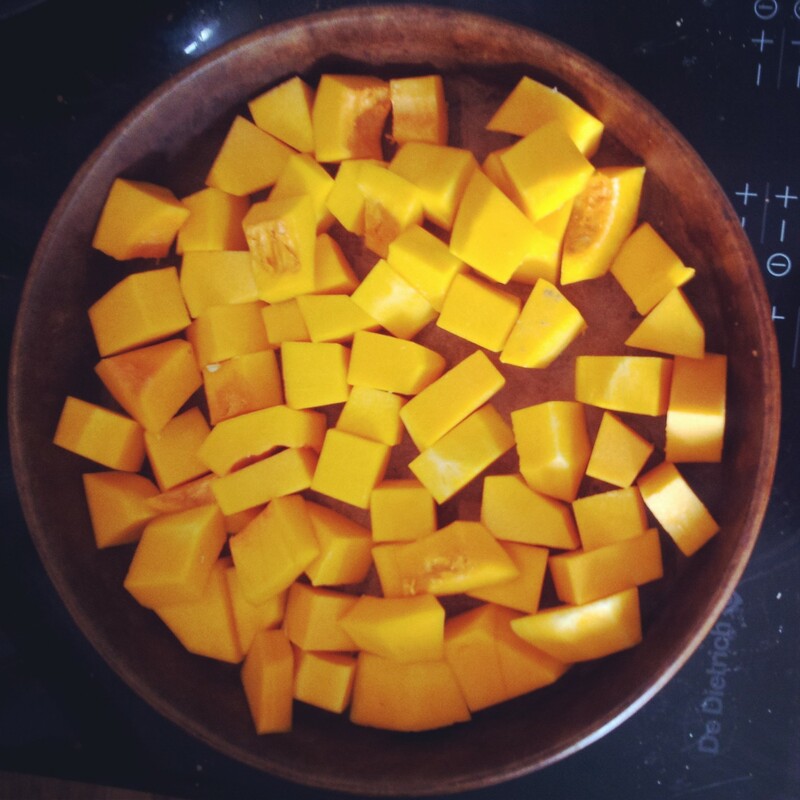 Notes: For kids, I like to serve couscous as “buried treasure” – put the vegetables go the plate first, and then pile the couscous on top to hide the veg and tell the children they have to dig in the “sand” to find the buried vegetable treasure. If you’ve the time and inclination to really go to town on it, you could complete the treasure island theme with a palm tree carved out of vegetables – have a look at my vegan food art board on Pinterest for inspiration. 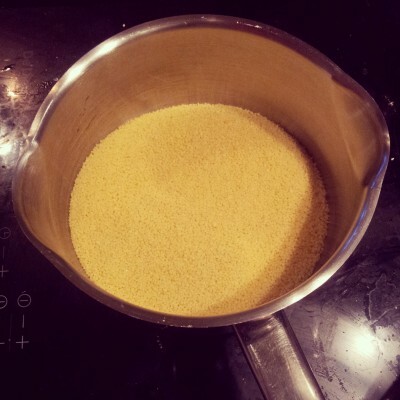 Variations: you can also try this with giant couscous or quinoa instead of couscous – giant couscous has an entirely different texture, and has to be boiled a bit like pasta, whereas quinoa is cooked like rice, with a 1.5 parts water to 1 part quinoa. If you have a timer setting on your oven, this meal is brilliant to come home to at the end of a busy day – prep the veg and set the timer in the morning, so that the vegetables are already smelling hungry-making and delicious when you walk in the door, and you can quickly prepare the couscous (or pre-cooked quinoa), and stir in the chickpeas and harissa and have the meal on the table in moments. 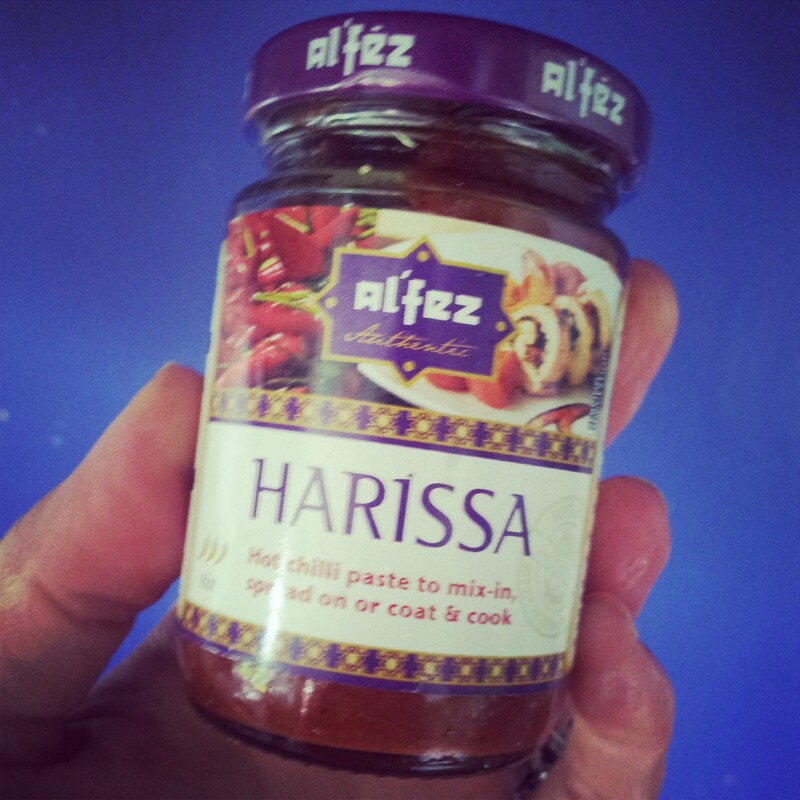 As the spicy harissa isn’t added until right at the end of the cooking time, it’s very easy to a set aside a spice-free portion for any little ones who can’t take the heat before stirring in the harissa. 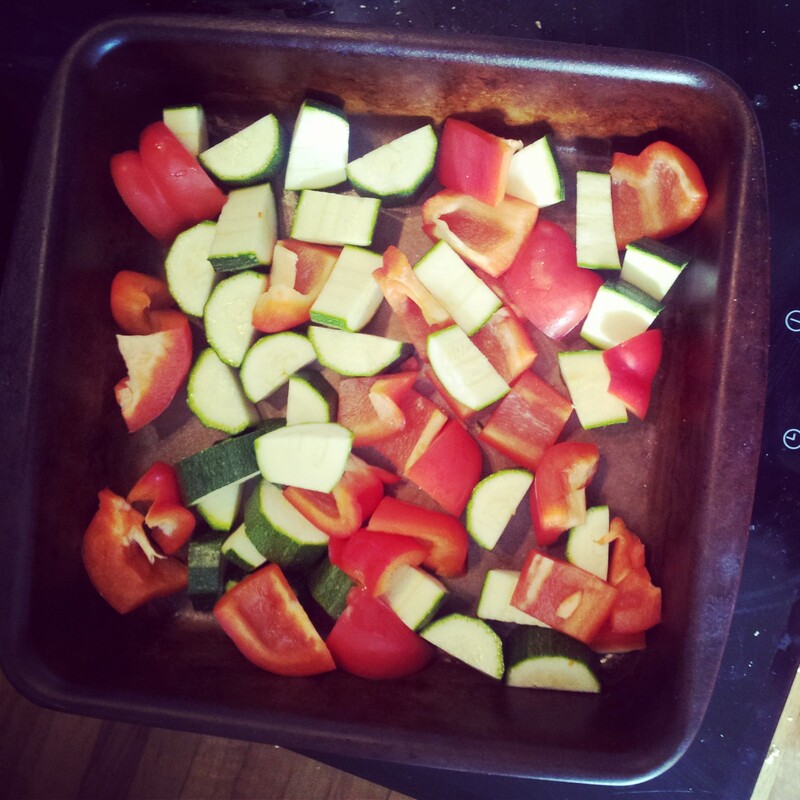 Put the peeled and chopped vegetables into a non-stick baking tray. Add 1-2 tablespoons of olive oil and use your hands or a spatula to mix everything around until the veg are throughly coated.. if necessary add a little more oil, a tablespoon at a time. You could use an olive oil spray bottle if you have one, as this will allow you to use the absolute minimum of oil. Put the tray in the oven and cook on Fan 200C for about 45 minutes. If you're making this using your oven timer, allow for the time it will take for the oven to heat up, and if there's a chance you might be home late consider that once the oven is hot, the food will continue to cook in the residual heat even after it has been turned off. Always set your oven to turn itself off at the end of the cooking time, so that if you're ever waylaid unexpectedly your vegetables won't be burned to cinders. When the vegetables are cooked and smelling delicious, add the drained chickpeas and stir through a couple of teaspoons of harissa paste (if required, don't forget to set some aside for a child-friendly spice-free portion before you do this). Turn off the oven and put the vegetables and chickpeas back into the warm oven while you make the couscous. Prepare the couscous: first boil the kettle. 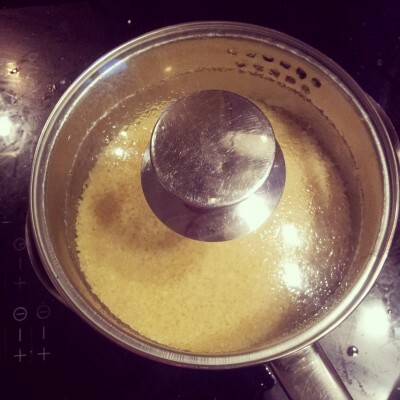 Put the couscous in the bottom of a small saucepan, and pour on just enough boiling water to cover the couscous. Cover with a lid (or a plate if necessary), and leave - covered but not on the heat - for five minutes. 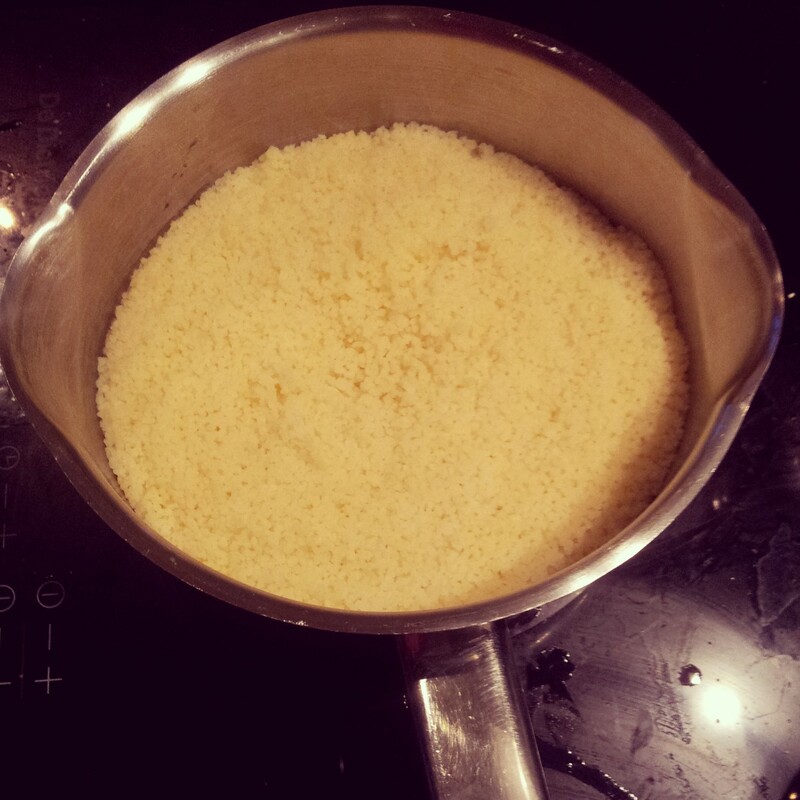 When you come back to it, the couscous will have absorbed all the water. Fluff with a fork and mix into the harissa/roast vegetables. Sprinkle on the fresh coriander, if using. 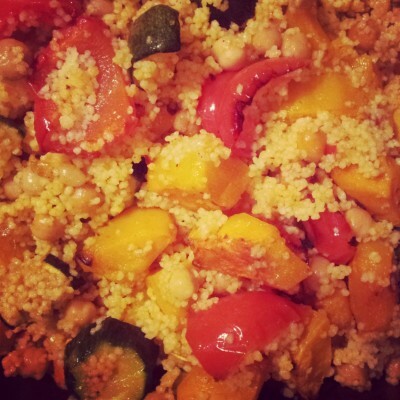 For kids, I like to serve couscous as “buried treasure” – put the vegetables go the plate first, and then pile the couscous on top to hide the veg and tell the children they have to dig in the “sand” to find the buried vegetable treasure. If you’ve the time and inclination to really go to town on it, you could complete the treasure island theme with a palm tree carved out of vegetables – have a look at my vegan food art board on Pinterest for inspiration. Also great with giant couscous or quinoa.